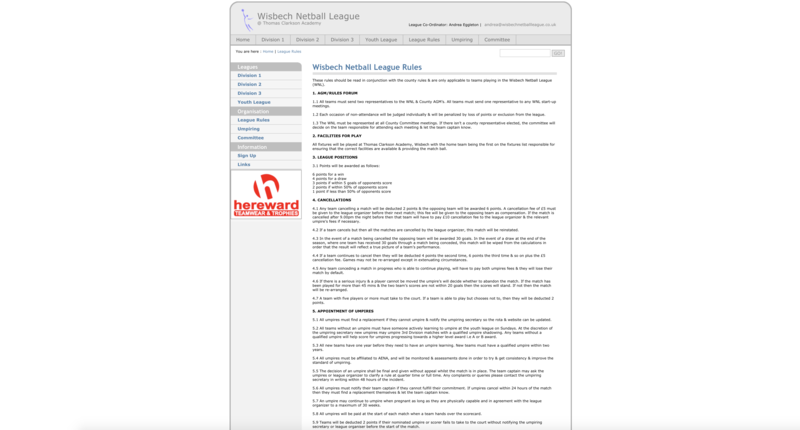 A netball league based in Wisbech, Cambridgeshire, consisting of more than 20 teams competing in three divisions, plus a youth league. The site includes full statistical results for all of their matches and seasons. 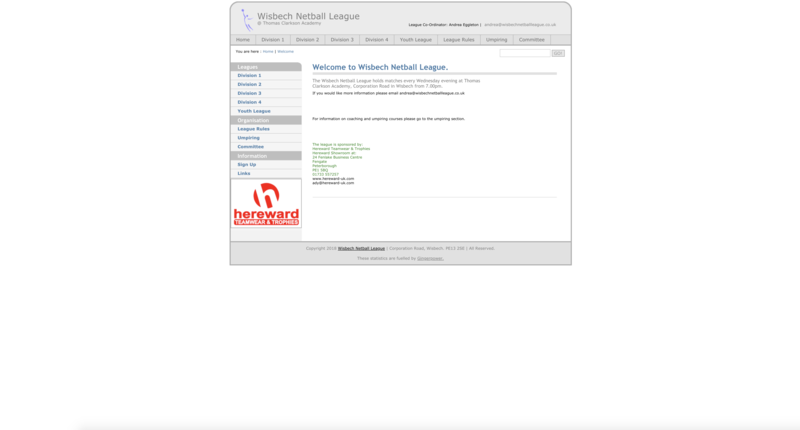 The website comprises a purpose-built Content Management System using PHP and MySQL which allows the administrator to post fixtures, results, news updates and photos. 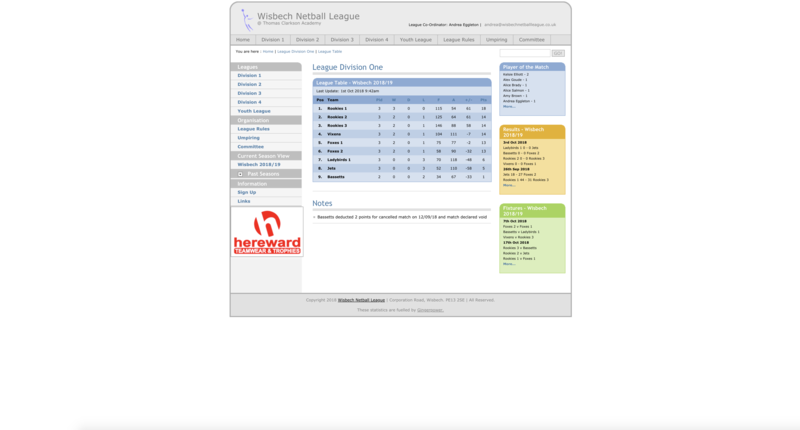 It also calculates and displays the league table and shows fixtures, results and players of the match. Photo gallery options are also available to the administrator who can also edit each and every page on the site.